A few former Green Jackets decided to get together to do something to support our fallen and injured Riflemen as a result of recent conflicts in which the Rifles and Green Jackets have stepped up to the mark and performed outstandingly, however our casualties have been high. 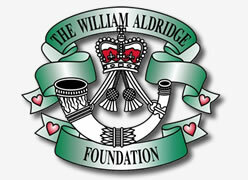 We are supporting our Rifles dedicated charity, The Rifles Regimental Trust, assisting those serving in all battalions of The Rifles. Through this provision our aims are to provide help and practical support leading to an enhanced quality of life for our clients. The fund was set up 3 years ago to provide immediate necessities/replacement of possessions and small luxuries for patients, which fall outside the outstanding medical provisions offered by the hospital. It also provides recreational or ‘decompression’ activities as well as other facilities and comforts for the families of injured personnel over and above that funded by the ‘system’. Families' Activity Breaks (FAB) is a non-public funded, tri Service initiative in partnership with the Youth Hostel Association of England and Wales, providing fun and challenging activity holidays around the UK for bereaved Armed Forces families. 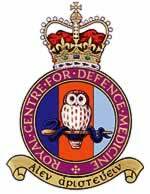 British Limbless Ex Service Men’s Association is the national charity for limbless serving, ex service men and women, their dependents and widows. Raising funds to build and keep a memorial in James’ home town of Airedale and to assist injured Service Personnel and bereaved families in the locality.